Our co-CEO, Beth Gerstein, recently took a trip to Sierra Leone to visit a group of diamond mines certified as socially and environmentally responsible. The mines could soon offer consumers the world’s first fair trade diamonds. I leave the SUV and walk down a narrow path. It’s cloudy but I can feel the sticky heat of a Sierra Leone afternoon. I reach a clearing surrounded by tall green grass. In the center is a waist-high pile of sandy gravel, dug from a nearby pit. Three miners are chopping at the pile with shovels, loosening up the gravel that, following a rainstorm, has dried into clumps. Others are feeding it into a sluice box, where they wash away the sand with a hose. If they are lucky, they will find what they are looking for—diamonds. If not, there is always the next pile of gravel behind them. The scene I am witnessing is one that plays out every day in the Kono district of Sierra Leone, a diamond-rich region on this country’s eastern edge. Across Africa, there are over one million artisanal, or small-scale, diamond diggers who mine for diamonds in this way. Sometimes they do everything by hand, digging out pits with shovels and then washing the gravel in tambourine-like sieves. Sometimes they have access to machines or basic equipment. What distinguishes these mines is that large corporations do not run them. These are Mom-and-Pop-type mining operations, done by small groups of miners hoping to strike it rich. They rarely do. For most diamond diggers, the work is not only grueling, but also full of injustices and exploitation. Without safety equipment or proper training, the miners often die or get injured in landslides and pit collapses. Child labor is common and environmental remediation after mine closure is rare. And for all they endure, most diamond diggers earn very little. Although they are a key part of the diamond supply chain, producing 10 to 15 percent of the value of the diamonds destined for jewelry showrooms around the world, Africa’s diamond diggers take home, on average, only a dollar or two a day. I came to this mining site in Sierra Leone to understand its similarities with other artisanal diamond mines, but mostly to observe the ways in which it meets a higher standard. Looking around, I can see some of them. The miners wear boots to protect their feet from the mud. One miner wears a helmet and another wears goggles. To the side, there is a white tent with a first aid kit where miners can rest and grab a drink of clean water. There is also a latrine where miners can use the bathroom and wash their hands with soap. Although the miners are young—they look mostly in their 20s and 30s—none are children. This mine’s owner and operator is a young man named Ishmael, who wears a bright smile and a maroon-colored African shirt. Unlike most of the mine owners in Kono, Ishmael has a mining license from the national government. He also pays his workers around $3 per day, a lot more than they might otherwise receive. When Ishmael’s crew is done mining in this spot, they will fill in the mining pits and restore the land. By global standards, the conditions in place at Ishmael’s mine are unremarkable. Compared with other mine sites in Kono, they are a marvel. But they are no accident. Ishmael has implemented a set of labor and environmental standards created by the Diamond Development Initiative (DDI), a Canadian organization who mission is to transform artisanal diamond mining into an activity that benefits miners and communities. With funding from De Beers, Tiffany and other companies in the jewelry business, including Brilliant Earth, DDI has successfully implemented its standards at 13 small mine sites in Sierra Leone representing 250 miners. In addition, it has had those sites independently audited for compliance. Now in place is something that has never existed: the kernel of a certification system for diamonds built on the fair trade model. As I discovered on a recent trip to Sierra Leone, hosted by DDI, that system is making a difference already. But it has yet to reach its potential. If it can continue to grow and thrive, it could make a tremendous difference. By forging a direct link between jewelry consumers and communities that depend on artisanal diamond mining, it could change the lives of thousands of diamond diggers and jumpstart development in some of the world’s poorest places. The value of a rough, or unpolished, diamond traded on international markets can be hundreds or even thousands of dollars. 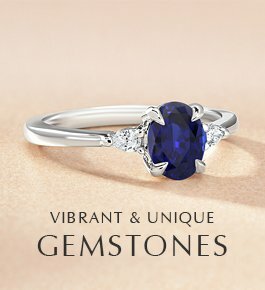 When a polished diamond reaches a consumer, it is worth many times its original value. So the fact that most diamond diggers live in extreme poverty is at once frustrating and perplexing. A wage of a dollar or two a day works out to only about 25 cents an hour. The structure of the diamond supply chain helps explain why diggers earn so little. The diamond traders who act as middlemen typically do not pay a fair price for the diamonds they buy. One reason for this is that the traders have more valuation expertise than the miners, who often accept lowball offers without realizing they are being cheated. It is also because many diamond diggers mine illegally, without a mining license, which drives down the value of the gems they discover. The many steps in the supply chain—diamonds are usually resold a few times in Sierra Leone before being exported—push down prices further. Although changing this dynamic will not be easy, the fair trade model offers one viable alternative. Fair trade systems have been created for hundreds of products including coffee, tea, and chocolate. The idea is for international buyers to pay a fair price to responsible farmers, artisans, and other producers in developing countries. 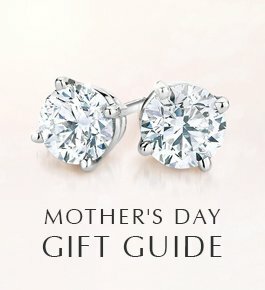 A fair trade system for diamonds would work similarly. By raising standards at a set of certified diamond mines and selling the diamonds to international buyers, cutting out the middlemen, a fair trade diamond system could deliver decent pay and safe working conditions. It could also help promote development in impoverished, yet diamond-rich, countries such as Sierra Leone, Angola, and the Democratic Republic of Congo (DRC), all of which endured brutal civil wars in the 1990s financed by diamonds. When my business partner, Eric, and I co-founded Brilliant Earth in 2005, one of our goals was to raise standards in artisanal diamond mining and help people who have been harmed by abuses in the diamond trade. With that goal in mind, we began to partner with organizations that were trying to build a fair trade diamond certification system. It soon became clear that this would take some time. In 2008, we helped Fair Trade USA, the fair trade labeling organization, with a study examining the feasibility of a fair trade diamond standard. Over the years, pilot projects aimed at starting a fair trade diamond system have been attempted in Sierra Leone and Lesotho, with lackluster results. In the Central African Republic, a promising initiative funded by the U.S. Agency for International Development was forced to end when a civil war broke out. The group that has come the furthest toward a fair trade system is DDI—but it too has encountered its share of obstacles. 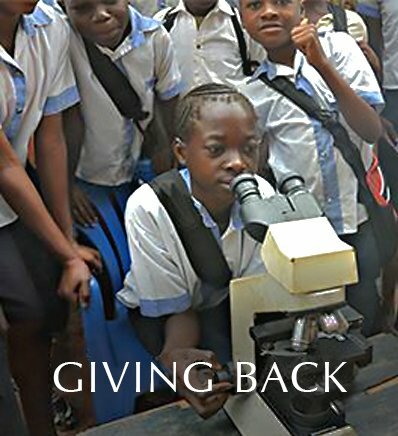 DDI began operating in Sierra Leone in 2012. 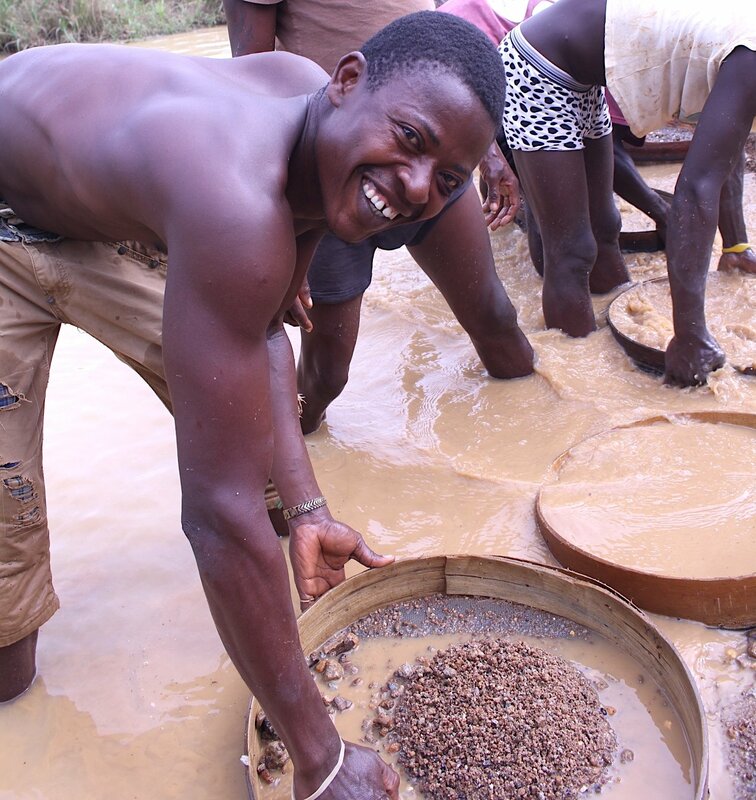 Recognizing the potential of the fair trade approach to address the plight of artisanal miners, DDI came to the Kono district to launch a set of “Development Diamond” standards. Kono was a good place to begin, not just because it is Sierra Leone’s main diamond mining province, but also because of its history: it was the hotbed of Sierra Leone’s civil war, which lasted from 1991 to 2002. Both sides in the war, particularly the rebel side, funded their operations with Kono’s diamonds and fought to control the district’s diamond wealth. Kono was the setting for most of the 2005 movie Blood Diamond, starring Leonardo DiCaprio, and it may well have been the source of the blood diamonds famously given by Liberian warlord Charles Taylor to supermodel Naomi Campbell. Even today, Kono is littered with buildings that were burned during the war and never rebuilt. By starting in Kono, DDI chose to go straight to the place where a combination of poverty, guns, and diamonds had turned deadly in the recent past. Within a year of launching in Kono, DDI had implemented a basic set of standards at a few mine sites. Then, in 2014, Sierra Leone was one of three West African countries hit by the Ebola epidemic. Before Ebola was contained last year, it claimed about 4,000 lives. The epidemic essentially shut down all diamond mining in Kono and forced the DDI team in Sierra Leone to devote itself entirely to Ebola prevention. DDI held workshops to educate residents on how to protect themselves. To improve sanitation, it built wells and provided soap, hand-washing buckets, and hand sanitizers. When food became scarce due to lockdowns, it provided rice, onions, and other essentials. These activities saved lives and, as I would observe on my trip, earned the gratitude of village leaders. In 2015, DDI resumed its mining initiatives in Sierra Leone, this time at more mine sites and with a more ambitious set of standards, which it calls the “Maendeleo Diamond Standards.” (Maendeleo means “development” or “progress” in Swahili, a language spoken in the DRC.) Finally, earlier this year, DDI was ready to invite a small group of supporters to view its mine sites and experience firsthand the difference the standards are making. When the invitation arrived in my inbox, it did not take me long to decide I would go. Besides touring the mines, I would serve as an observer of the first international sale of fair trade diamonds. The gems from DDI’s mines had always been sold to Sierra Leone’s diamond traders, but toward the end of the trip, DDI was planning to auction off a stockpile of rough diamonds to a select group of European buyers. It was an honor to be invited to witness this historic milestone. One afternoon a few months later, I landed in Sierra Leone after a 24-hour journey from California. Our international group consisted of buyers and observers as well as DDI staff members based in Canada and Sierra Leone. Since there is no good road from the airport to Freetown, the capital, we took a speedboat across a choppy bay, the sun setting in the distance. We stayed that night at a hotel in the hills above Freetown, with dramatic views of the ocean. The next day we journeyed eastward across the country to Kono in a caravan of eight SUVs. Our growing group included a hired driver in each vehicle, and, for protection, four officers from the national police force, two of whom wore red berets and carried Kalashnikov rifles. That night we stayed in the appropriately named “Diamond Lodge Hotel” on the outskirts of Koidu, the dusty town that is the capital of Kono. The following morning we were ready to meet the miners who own and operate the mine sites. The meeting took place at DDI’s staff offices in Koidu, on the second floor of a building overlooking a vegetable market. When we entered the room, the operators of the mines were seated in plastic chairs, ready to greet us. Anticipation filled the room. Here, at last, both ends of the diamond supply chain were together in one place, gathered to talk. I wondered whether that would really be possible. Although a few of the mine operators spoke English well, most were more comfortable speaking Krio, a hybrid of English and native languages. A few wore Western-style t-shirts, but most wore Islamic religious attire or African dress. Even assuming we could understand each other’s words—Steven Sannoh, a local DDI staff member, acted as a translator—would we understand each other’s perspectives? One by one, we went around the room, introducing ourselves. When it was my turn, I stood up and described Brilliant Earth’s commitment to DDI and our dedication to offering our customers diamonds from responsible sources. 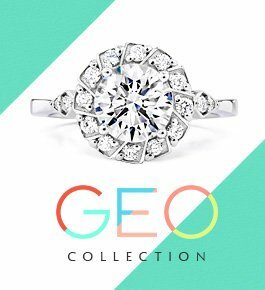 “Our customers care about where their diamonds come from,” I said, trying to communicate the growing demand in the United States for ethically sourced diamonds. I soon realized that, despite our different backgrounds, we shared some common understandings. Like me, the mine operators were entrepreneurs who wanted to run a responsible business. They seemed to recognize that treating their employees with respect and operating a safe mine was both the right thing to do and something that was good for business. The mine operators spoke about the benefits they had seen from the standards—about how, with DDI’s help, they had eliminated child labor, reduced safety incidents, and improved hygiene by building latrines. “The project is doing better things for us because they have been educating us about ways of doing mining and [how] to work with the workers, free and fair,” one mine operator said. Many of the operators talked about their hopes for their villages and communities; a few of them are village leaders, or chiefs, themselves. I was impressed by the thoughtfulness and commitment of the mine operators, but I was even more interested to visit the mines in person to see how this would translate. For the next two days, we traveled around the Kono district visiting a total of eight mines, including Ishmael’s. Some were right off paved roads and were not hard to reach. Others were buried deep in the jungle, an hour or two down bumpy dirt roads surrounded by bush on either side that brushed our vehicles. At each mine site, we usually saw a handful of miners working under the direction of a mine operator. Mostly we saw miners processing gravel—often by hand, standing in pits of water and shaking the gravel through sieves. The work had a rhythm to it that, I imagine, is occasionally punctuated by the discovery of a diamond. Once, a miner showed us a small rough diamond that had been found, holding it skyward in the palm of his hand as we gathered around to look. Although we did not see the digging process, we observed the pits the miners had dug. They were generally kept to a maximum depth of 10 meters, both to keep them safe and to make the land easier to restore. The safety and health improvements I witnessed at Ishmael’s mine—such as work boots, helmets, latrines, and clean water to drink—were widely present. The mine operators further demonstrated a commitment to responding to the inevitable safety incidents that do occur. One showed me a detailed logbook that listed every safety incident that had occurred at his site. Another told me that if an employee is injured, he personally accompanies the miner to a health clinic. I saw no children at any of the mines, except for a group of boys that stopped by to observe us, staring at us curiously and then breaking into smiles. I saw no violence or coercion; the mine operators and their employees appeared to get along. Part of the reason may be that the miners are generally paid more than at nearby mines. Mine operators at DDI mines are required to offer a salary that is 10 percent above the minimum wage in Sierra Leone, which is about $3 a day. Employees can also choose to earn part of their salary as a percentage of diamond sales. When a fair trade system gets going, this structure should allow employees to reap the benefits of higher prices from international buyers. As we visited the mines, I learned more about the lives of the miners. Many had large families to support. (One mine operator named Ishmael, a village chief, had eight children.) Most of the men were farmers as well as miners; mine employees often work from about 8 a.m. to about 4 p.m. and then head to their fields. Although communication was a bit challenging, we were able to talk with a few of the mine employees. Most told us they appreciated the latrines, the fresh water, and the safety gear. One young mine employee told us that he was using the money he earned to save for a university education. DDI has worked hard to make its mines safe and responsible workplaces. It has adopted rigorous but realistic standards, and it has conducted a series of trainings. Steven, the DDI in-country staff member that serves as the main liaison to the mines, makes unscheduled visits to each site about once per week to check on compliance and troubleshoot problems. Many of the improvements—the boots, the hats and the latrines—are paid for by DDI itself. And importantly, DDI has obtained independent verification that the mines follow its standards. In April, an auditor visited the sites, which at that time numbered 14. The auditor produced a detailed analysis finding that 13 out of the 14 of the sites were substantially in compliance.DDI presented each of those 13 mine operators with a certificate of compliance during the meeting we attended at its staff offices. Each operator walked to the front of the room, shook the hand of two DDI staff members, and accepted his certificate to a round of camera flashes and applause. It was a proud moment for everyone. Some of the mines we visited were located a short walking distance from a nearby village. Those mines are essentially village-run mines; the employees are local residents and the mine operators are chiefs, or village leaders. When we arrived in those villages, residents dropped what they were doing and gathered around us. Chiefs greeted us with speeches. Children surrounded us with smiles. Mothers handed me their babies to hold in my arms. In one village, the residents sang a song to welcome us. I was amazed by the friendliness of the people we met and the strength of their communities. I was struck by how, even in the smallest villages, Muslims and Christians live side by side and often marry one another too. My visit, however, also made me feel the urgency of doing something to promote development in these communities. In chaotic Freetown, poverty is everywhere, but it is in the rural areas of Sierra Leone where poverty hits you hardest. Homes are small huts made mostly of mud and thatch. In remote villages, where there is no electrical grid, residents use solar lamps. Water comes from wells—and if not, from rivers and streams that are often polluted. Schools do not exist or are so far away that they are difficult for students to attend. On the edge of one village, residents showed us a river that children must cross on their way to a distant school. Kids have drowned in that river in an attempt to get an education. I repeatedly saw reminders of the Ebola epidemic. Billboards urge people to report new cases. We visited a closed treatment center on the outskirts of Freetown that has not yet been repurposed. At the airport before leaving the country, I was required to wash my hands, report any symptoms, and get my temperature taken. Ebola took lives in Kono, but it is the toll of other illnesses, such as malaria and HIV, that is most unmistakable. I noticed very few elderly people in the villages—probably because life expectancy in Sierra Leone is less than 50 years old. No single strategy could solve all these problems, but a fair trade diamond certification system is one of many strategies that could help. Mine employees would bring home higher earnings and, as a condition of sale, DDI would require that a portion of the profits go to community investments. There would be more money for wells, schools, and health clinics. I was eager to see that strategy start to create a positive economic ripple. So it was unfortunate when the auction planned for our trip ultimately did not take place. The government of Sierra Leone intervened to halt the export of the diamonds. Based on an assessment by a DDI-hired expert, the auction had been expected to generate around $200,000 in revenues. We do not know why the government took the action it did, but it is possible that Sierra Leone’s diamond traders made their voices heard. DDI is trying to alter the economics of the diamond trade in Sierra Leone. Anytime you change the status quo, not everyone will be supportive. In advance of our trip, the mine operators had been stockpiling diamonds for months. As we left Sierra Leone, they began selling these gems through the typical channels. When Sierra Leone’s diamond traders export them, they will be mixed into the global supply, their origins no longer traceable. However, DDI managed to preserve some of the benefits of the planned auction. The valuation expert hired by DDI had given the operators critical information on the value of their diamonds. Using that information, they were able to get a higher price for their gems. The mine operators continue to abide by the standards. They have begun again to stockpile their diamonds, committed to the next chance to export to international buyers. With help from Brilliant Earth and other supporters, DDI is pushing forward with plans to expand its activities in Sierra Leone and create a reliable and reproducible export process. 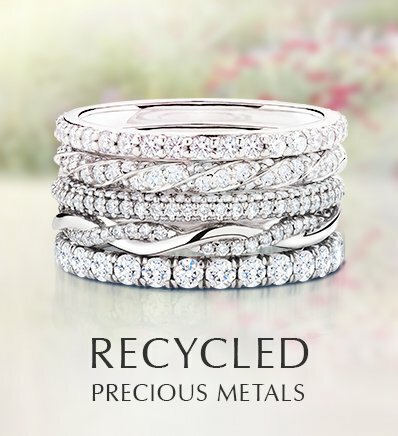 Someday, maybe not too far in the future, the first diamonds from DDI’s certified mines will reach jewelry consumers. I returned from the trip with a feeling of optimism. 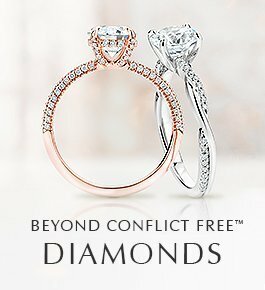 I have long dreamed of witnessing the launch of a fair trade diamond certification system. Having been to Kono, I believe that such a system is closer than ever to being realized. Thanks to DDI and the miners it partners with, mines like Ishmael’s could soon become much more common, both in Kono and throughout Africa. Diamond diggers and their communities could soon have a way of sharing in the success of the global jewelry industry. 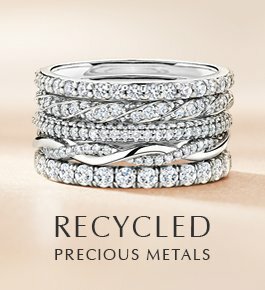 And in places where diamonds have too often been a curse, a source of a violence and exploitation, they could finally become a blessing. Thank you for your support, Heather! The purpose behind your company blows my mind. Thank you for sharing the real life story of why you do what you do. 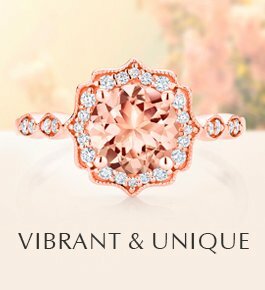 I never knew these things were happening in the diamond industry till I ran across your website months back. You changed our outlook on purchasing diamonds and you superseded our expectations with my platinum diamond wedding set! We love your company and what you do! So what.. if it’s White own it still no good. Their time is up.. tell them to pack their equipment and get out of Africa stealing resources and land illegally. No tolerance , the thing about this is that it’s been illegal mining going from decades. Debeer’s and Oppenheimer’s family. This is the only solution to this horrible problem. This was challenging but fun. A very interesting article that greatly increased my knowledge of the diamond trade and the history of the region. Thank you for investing your time in educating others. 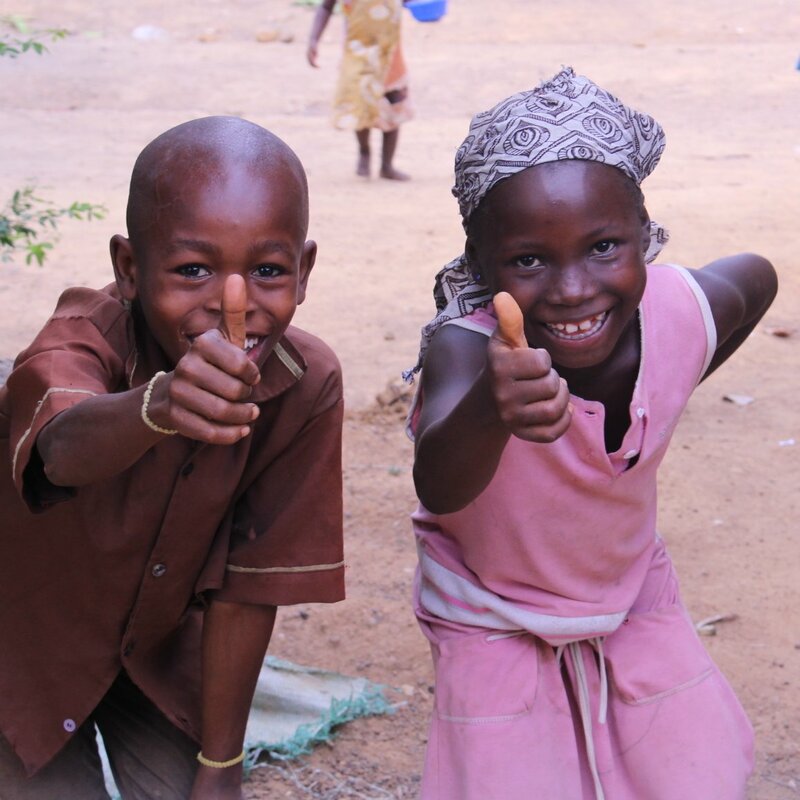 So good to hear Sierra Leone is moving on, leaving behind the horrible civil war and the Ebola epidemic. Maybe the diamond industry will be their entry into a robust economy for all its citizens!